20 tea bags A blend of China Black Keemun teas. Named after the English, who felt the bold flavor of this blend was enhanced by adding milk. A cup of tea contains about half the caffeine as a cup of coffee. However, tea can be decaffeinated by some of the same processes as coffee. Ethyl acetate is the most common method of decaffeination. 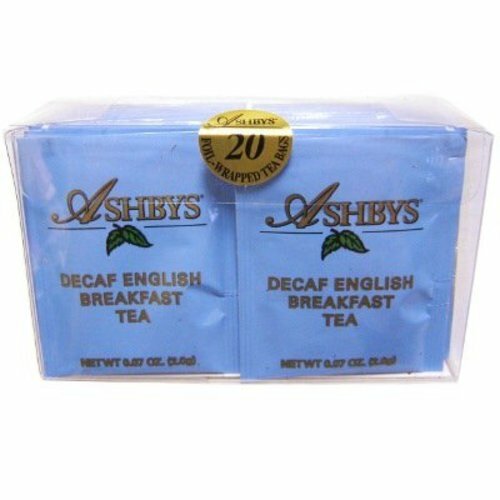 Ethyl acetate is a by-product of natural fruit acid, is not carcinogenic, and removes 98% of the caffeine from the tea.